Roger Casement, a Dublin-born British diplomat turned Irish republican rebel, was executed 100 years ago. He was hanged as a traitor on 3 August 1916 at Pentonville Prison in London, the last of 16 government executions related to the Easter Rising of four months earlier. This anniversary ends the official 1916 centennial commemoration. Casement was part of a failed effort to land arms from Germany for the Rising at the Kerry coast, where he was captured by the British. 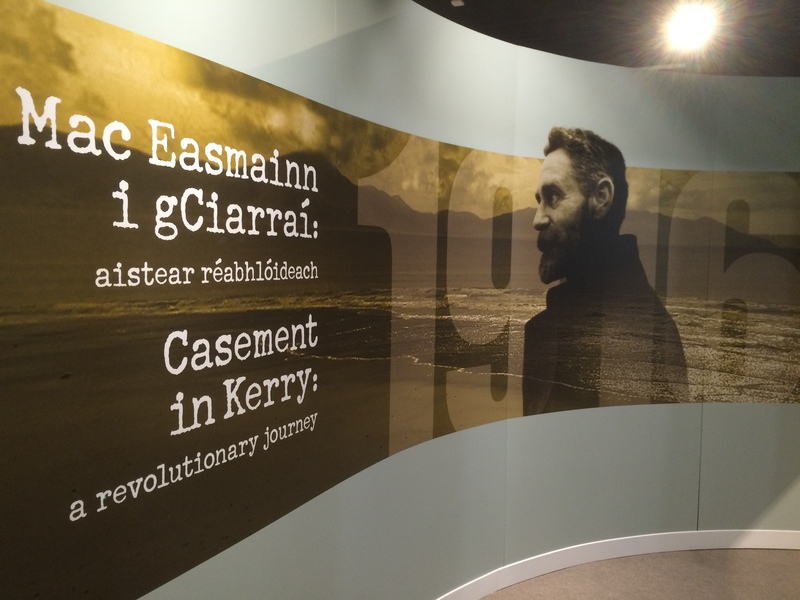 During my recent visit to Ireland, I viewed the excellent “Casement in Kerry, a revolutionary journey” exhibit at the County Kerry Museum. Additional stories about Casement can be found in An Phoblacht, the Irish republican party Sinn Féin newspaper, and The Irish Times. In 1965, Casement’s remains were exhumed from the English prison yard and returned to Dublin for a state funeral. He was buried along with other Irish heroes at Glasnevin Cemetery. 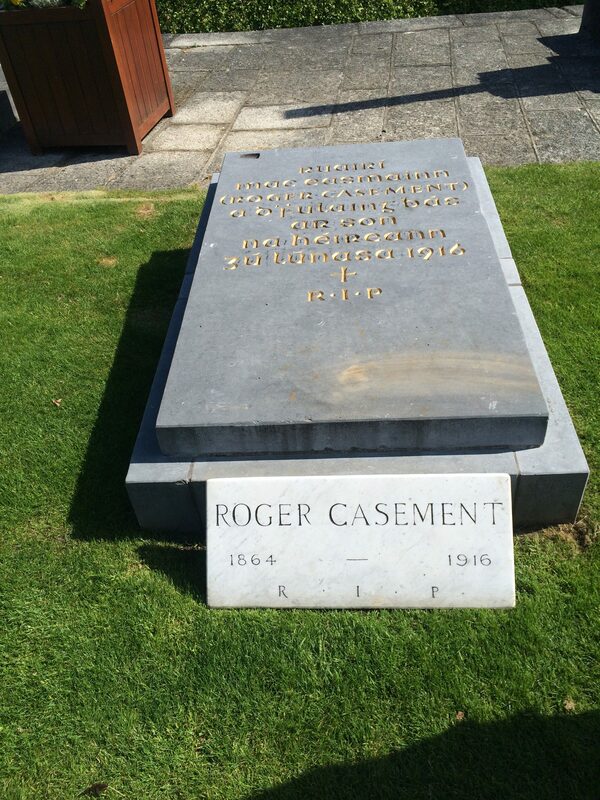 This entry was posted in History, Politics and tagged County Kerry, Glasnevin Cemetery, Roger Casement on August 2, 2016 by admin.